After the launch of the data-saving YouTube Go beta by Google, Twitter has announced the launch of Twitter Lite. In a similar vein to YouTube Go, Twitter Lite is an acknowledgement that a huge number of people around the world are getting online using a 3G -- or even a 2G -- connection. Twitter Lite is not an app, but a lighter version of the mobile version of the Twitter website. With no app to download, it can be used on any smartphone or tablet and an additional Data Saver mode further reduces bandwidth requirements and helps to speed up the overall experience. Data Saver mode works by displaying a lower quality preview of images and videos by default. Rather than simply downloading everything by default, users need to click the preview in order to view a higher quality version of an image, or to play a video. Despite the fact that Twitter Lite is not an app, there is full support for push notifications, and there's even offline support. 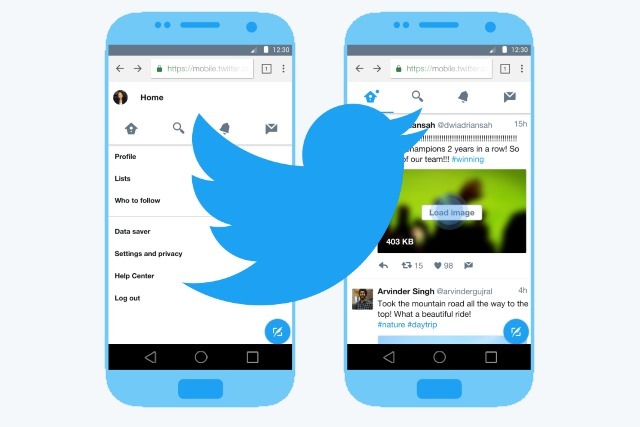 Today, we are rolling out Twitter Lite, a new mobile web experience which minimizes data usage, loads quickly on slower connections, is resilient on unreliable mobile networks, and takes up less than 1MB on your device. We also optimized it for speed, with up to 30 percent faster launch times as well as quicker navigation throughout Twitter. Twitter Lite provides the key features of Twitter -- your timeline, Tweets, Direct Messages, trends, profiles, media uploads, notifications, and more. With Twitter Lite, we are making Twitter more accessible to millions of people -- all you need is a smartphone or tablet with a browser. Although Twitter Lite is designed with "emerging markets" in mind -- and it sees Twitter partnering with Vodafone in India -- it can be used by anyone around the world who is looking to reduce their data consumption. You can try out Twitter Lite by heading to mobile.twitter.com.